BOULDER, CO – Community Energy announced today that its Comanche Solar project will supply 120 megawatts of solar generation to Xcel Energy comprising the largest part of a 170 megawatt portfolio of solar generation approved by the Colorado Public Utilities Commission in December, 2013. Upon completion, the Comanche Solar project would be the largest solar generating facility in Colorado, the largest east of the Rocky Mountains, and one of the largest in the US. When it’s placed in service, the project also has the potential to more than double Xcel Energy’s current 87 MW of purchases from large central station solar plants. The Comanche Solar project will ultimately be comprised of more than 450,000 mono-crystalline PV modules utilizing a single-axis tracking technology. The tracking technology will follow the sun as it rises in the east and sets in the west, producing power during Xcel Energy’s peak demand periods and generally providing a nice match to daily summer air conditioning loads. In total, the project will generate enough power for more than 31,000 homes in its first year. Over the course of the project’s 25 year life, it will produce more than 6 billion kilowatt hours of clean solar energy and is expected to reduce CO2 emissions by approximately 3.5 million tons. 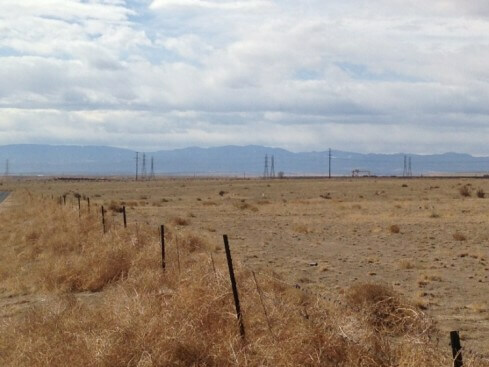 The Solar project will be located near Xcel Energy’s Comanche Generating Station, about 2 miles southeast of Pueblo, CO, on approximately 900 acres of under-utilized grazing land surrounded by existing and future industrial land. The site is gently sloping and will require minimal grading to prepare it for the solar installation. The project is anticipated to become operational mid-summer 2016. Community Energy recently began the final development permitting process for the Comanche Solar project through Pueblo County. The choice of project equipment and financing has been committed and will be announced at the time the power purchase agreement with Xcel Energy is executed, currently expected in mid-2014. Since its inception in 1999, Community Energy has led the development and construction of more than 800 MW of wind and solar generating facilities. Community Energy has used a pioneering mix of utility off-take approaches, renewable energy marketing programs, new financing structures, development expertise, and public funding and policy support to accelerate the deployment of renewable energy technologies at scale. With offices in Boulder, Colorado and headquarters in Radnor, PA, Community Energy has a strong presence in both western and eastern renewable energy markets. For more information about Community Energy, please visit www.communityenergysolar.com. Xcel Energy is a major US electricity and natural gas company with regulated operations in eight Western and Midwestern states. Xcel Energy provides a comprehensive portfolio of energy-related products and services to 3.4 million electricity customers and 1.9 million natural gas customers through its regulated operating companies. For more information about Xcel Energy, please visit www.xcelenergy.com. Are you a company, utility, municipality, power-provider, investor or community member exploring the benefits of renewable energy? Contact us to learn more about our clean energy solutions. Thank you very much! We'll reach out to you shortly! Are you interested in playing a key role in shaping our carbon-free future? Learn more about our current career opportunities and how you can be a part of our team of experts. See recent News and Press Announcements and how Community Energy, Inc. is leading National Clean Energy Project Development forward with a strong presence in diverse geographic markets. Learn more about our customized clean energy solutions, projects and other available products. © 2019 Community Energy. All rights reserved.